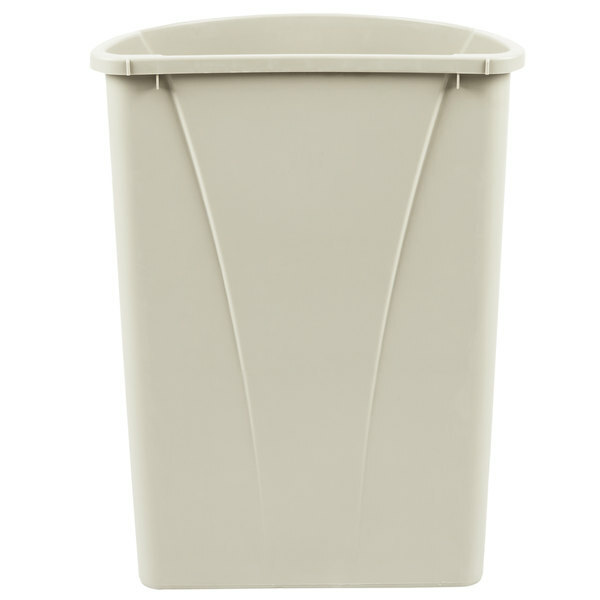 Does this trash can come with a lid? This trash can does not come with a lid. Please see the "You May Also Need" section for any compatible trash can lids. 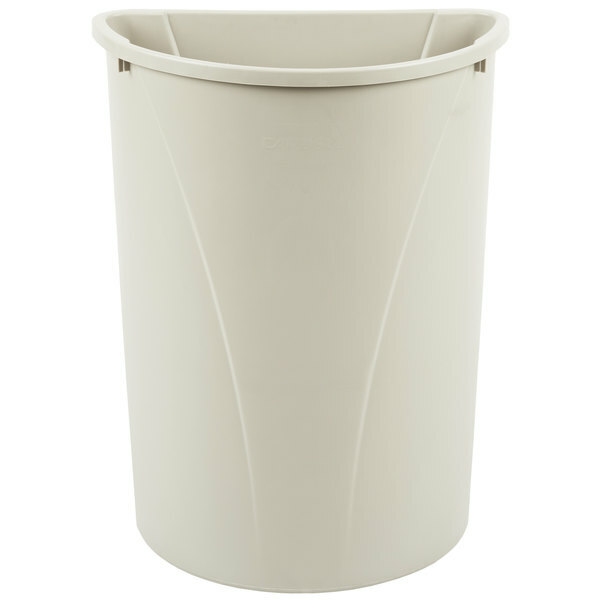 Add style to your establishment, without sacrificing the sanitary disposal of waste with this Carlisle 34302106 Centurian 21 gallon oatmeal half round wallhugger trash can! 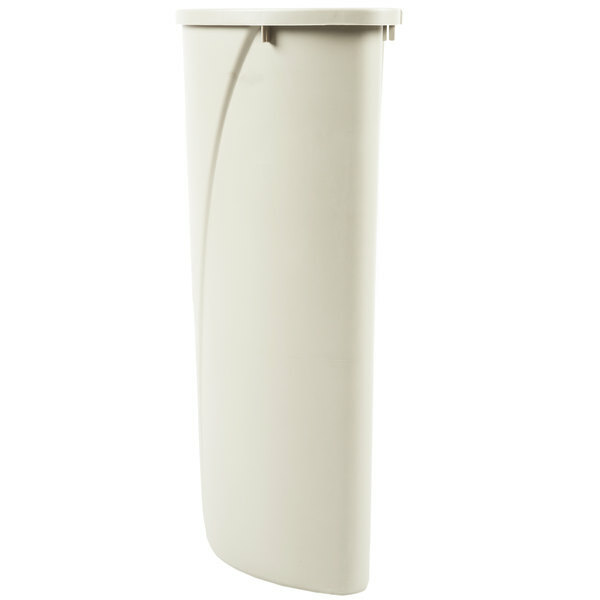 This sleek trash can is designed with an attractive appearance that hugs a wall for space-saving convenience. 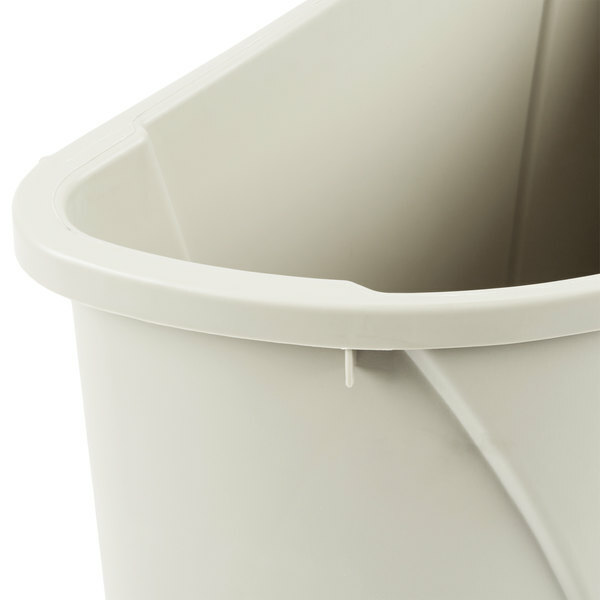 Rounded sides ensure a slim profile, while an ergonomic top ridge handle simplifies lifting and emptying. 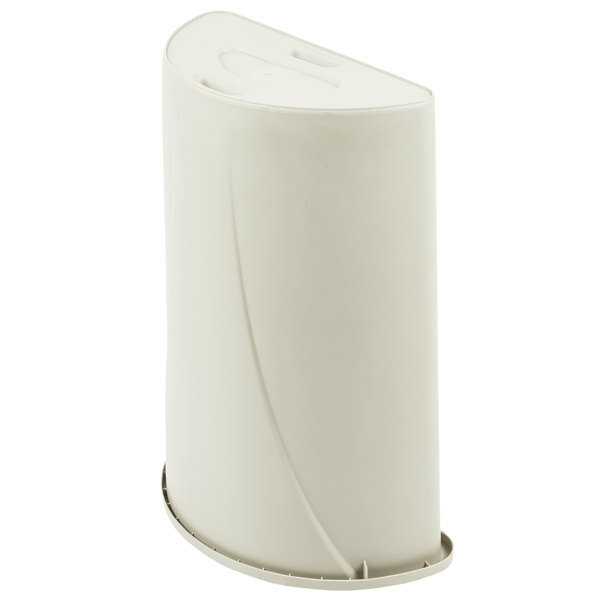 This can ensures easier bag removal with a self-venting design, and the durable polyethylene construction means a long life for this can. 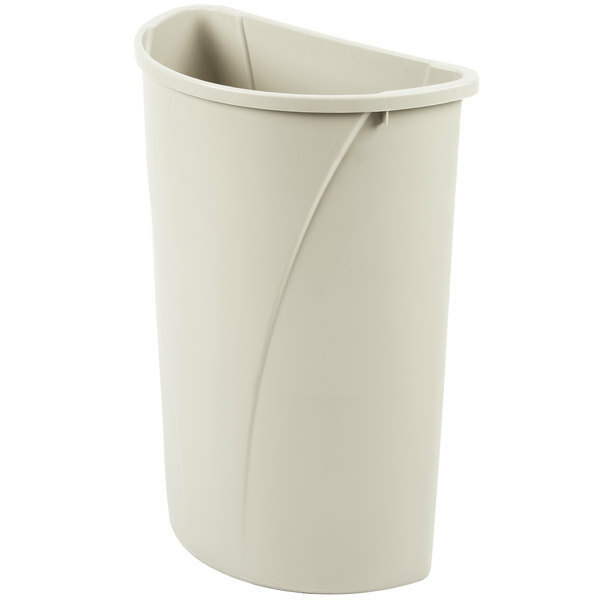 This trash can is designed with a sophisticated oatmeal color. 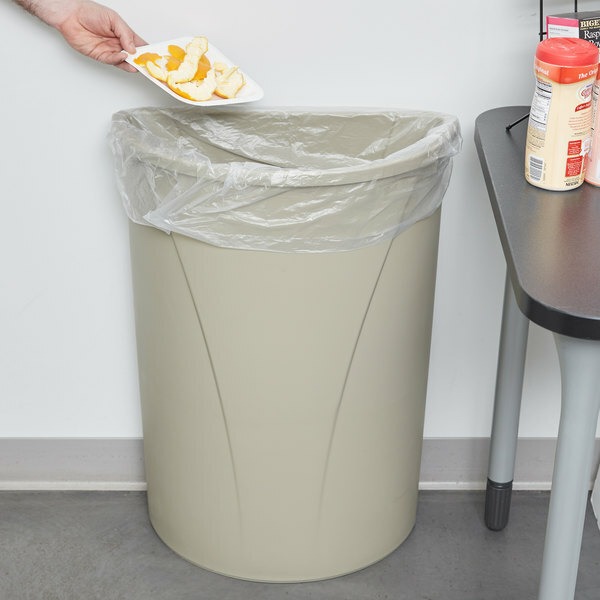 To keep the waste contained in the bag, integrated tabs prevent liners from slipping into the container, making for fast, easy, and efficient cleanup when the can gets full. Plus, with a temperature range of 32 to 180 degrees Fahrenheit, this can will have no problem going from outdoor to indoor environments for added versatility. These are great trash cans for a kitchen. They are super sturdy and very durable. The color is very attractive and the material is really easy to clean. 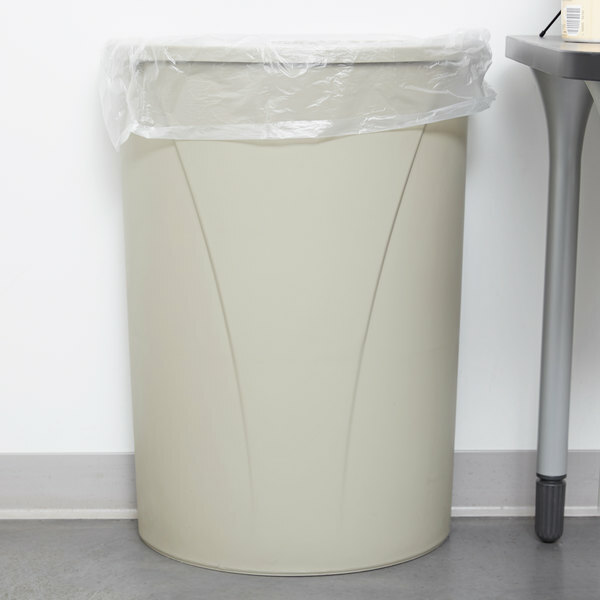 This trash can is perfect for fitting in small spaces! Nice for the end of a prep table! Easy to clean and maintain! Great price! !